This is one of my most popular posts for the holidays. English Toffee makes a great gift! I believe homemade gifts are the best kind. A homemade gift shows that you cared enough to spend your time on it and put a little of yourself into it. 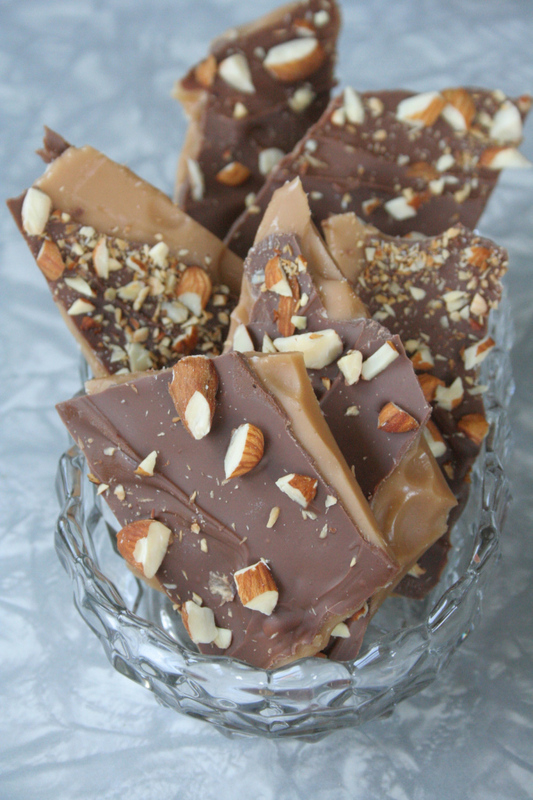 The holidays are a great excuse for making something decadent like English Toffee. What teacher, coworker, or mail carrier wouldn’t like a gift like this? Real English toffee calls for dark chocolate, but I prefer milk. Use whatever chocolate you like.